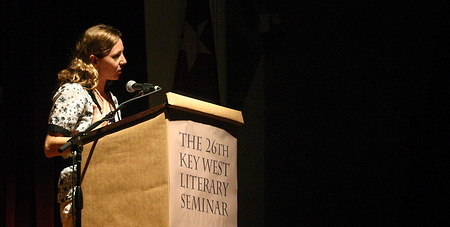 As KWLS Board Member Bob Richardson says in his introduction, Maggie Nelson is “intimately acquainted with the night”. Nelson reads from and discusses her books “Jane: A Murder” and “The Red Parts: A Memoir”. Both concern Jane, who was Nelson’s mother’s younger sister. Jane was murdered shortly before Nelson’s birth, and the books are harrowing explorations of the circumstances surrounding her death in prose and poetry, as well as soulful imaginings of the aunt she never met. This recording is available for noncommercial and educational use only. All rights belong to the author. © 2008 Maggie Nelson. Used with permission from Maggie Nelson. ← Daniel Menaker: How Do We Hear A New Voice?